.7 inbound! And a new Kickstarter coming soon! Hello, everyone! Long time no see! Even though I’ve been quiet, I’ve been working a lot on the game and after almost 5 pages of addons, changes, tweaks, fixes, and improvements, I’m just about ready to launch .7! With that, after save and load functionality is added (the very next major feature to be added – well, technically save is already there, but it’s internal) I feel the time is right to launch a Kickstarter. With all the changes and fixes in .7, I am happy enough with the product that I feel that it is right to present as a Kickstarter. A Kickstarter will allow me to work on the game more, add more art and special effects, allow the game to be promoted more (which will bring in more money that will allow more improvements – you see the cycle!) Let me be clear: I have 2 loans out on the initial development of the game – I have not made a penny on the game that I can ‘pay’ myself; all proceeds have basically gone to pay back loans on the game. So this is more of a passion project than something that’s going to buy my second home. But I do want to finish it and I feel the end is within reach with a large push in 2019. So look for more updates soon on when that will launch and how you can help! Hey everyone – been a while, right? So I’ll get to the good news right off the bat: I’ve been working on the game for a little while and have started on 3 key features: pops opinion feedback (in other words, why is my stability dropping on a planet? ), the character/House AI, and the save/load system! Those are my 3 huge priorities before I call .6 complete. There will be some other tweaks, including more planets, an easier font typeface for some parts of the UI, the completion of the financial main screen, etc. but those are the big ones. So that’s all well and good, you say, but where have you been? Good question. It started a few months ago with a 2-week trip out of the state for work, and I didn’t have a chance to do anything with the game at that time. When I got back, I had some issues that I had to take care of from a family standpoint – nothing major, but necessary. By then it was June and when I finally had some time to restart development, I realized that I wasn’t looking forward to it like I always had. In the past, I’d stay up until 2-3 AM working on something (I’m a night person) and not think twice about it. Now, I almost dreaded going to the computer. And I realized something at that point – I was burned out on the game. You have to understand that I’ve been working on Imperia/AotSS more or less by myself (from a coding standpoint, anyway) for almost 4 years. In that time, I’ve had some artistic and game design support, most notably by Oliver, but for anything to actually be done in the game, I had to code and implement it. Even the smallest indie studios that release commercial-quality games typically have 4-8 people working full-time. The smallest I can think of that make games that people who would play AotSS would be Zero Sum Games (one person; StarDrive series) and Arcen Games (two people; AI War, The Last Federation, etc) but even they do it full-time as their main job. I am not in a position to make KatHawk Studios a full-time proposition (for now, anyway) so I’m caught in the position of assuming 100% development responsibility for a project that I can’t devote 8 hours a day to. So I’ve worked around the gaps in my life that don’t involve family, other social events/duties, and work. That leaves very little time for… me. And I think that finally caught up to me. Since then, I’ve been refreshed and gotten the nice break that I needed, but of course I could have been more forthright about where I’ve been. One thing that I’ve always struggled with, even professionally, is taking relatively small issues and letting them spiral because I have an unreasonable fear of the results. In this case, all I would have had to do is post a blog saying that I was taking a month or two off and I’m sure most people who understand the development situation would understand. However, since I let it get to this huge thing in my mind, it became harder and harder to respond. So I take full responsibility for not explaining things sooner, and I’m sorry for that. I don’t want to do #1; in fact, my plan is to keep the price at $7.99 even into .7 as a good will gesture. Naturally, this will not help my cashflow, but it’s the right thing to do. #2 is a necessity, but I’m not a marketer and the person who really did that well (Oliver) is no longer an active part of the project due primarily to his own projects and life goals. And of course, actual advertising takes money which I am not flush with. So any sort of marketing would have to be guerrilla in nature. I really don’t want to do #3 since I already have 2 loans outstanding and unless I was going to do this full time (in which case I would bite the bullet and really do it right and take out like $150K to staff up and office out) I need to keep the debt load where it is. I don’t want to give up 4+ years of work and let down numerous people and customers either, so I can’t face #5 as an option. That leaves #4. I once swore that I would not do a Kickstarter – the idea of people paying for a project that they might never see gave me chills. However, as I study my options in my unique development situation, it may be the last resort. Many people have reached out to me over the years asking whether I would do one, and I always told them ‘no’. I am proud of the fact that AotSS is self-financed and funded, and I never asked for a penny for Imperia because I believed (and still do!) in the game and idea. But business considerations have made it to where I need to bring in some revenue to pay for art at a minimum. We don’t need a lot (relative to game development costs), but I estimate it will take about $5,000 to finish the game at a basic level. So after much deliberation, I will do my best to do #2 and #4 to keep AotSS and KHS going. I don’t have any firm details about backing levels, but I can tell you that virtually all of the rewards will be game-based. I know for sure I will have unique characters for backers and for higher tiers, custom Houses, and things like planets and systems and provinces can also be named. Beyond that I have a few ideas but I’m still deciding on them. Once the project launches on Kickstarter I will let everyone know. Also, anyone who has already purchased will get a KS reward to be determined. Once again, I’m sorry about my communication and lack of progress. I’m human, and I don’t have a lot of support at this point WRT actually creating and coding the game. I’m not looking for sympathy, but I do want y’all to understand the situation. And believe me, I’m far from the only small indie to struggle. It’s an inherent risk in developing a game of this complexity. If I simply wanted to make money, I’d churn out puzzle games on mobile platforms. I have the expertise to do that. But it’s not my passion. This project is, small blips notwithstanding, and I will see it to the end. Hello everyone; long time no see! It’s been a little while since I’ve written a blog, and this blog is going to be a little different. It’s not going to have any new features about AotSS, nor will it have a timetable or cool screenshots. We’ll have those shortly. No, I wanted to take a bit of soapbox time to talk about where I’ve been and why. So, the first thing people need to remember about programming: it’s hard. Even for people who have degrees in this sort of thing, it’s hard. And I don’t have any kind of programming certificate, degree, or even a course. Everything I’ve learned has come from teaching myself, except for one computer science class in high school. I was very, very good at programming – was nationally ranked, in fact (yes, they have contests for programming in high school!) – but I didn’t think I could pursue it as a career since I didn’t much care for the math part of things. So I went to college, and put aside my programming. Throughout the years, I kept coming back to programming for fun. I taught myself C++ with an Ivor Horton book that must have weighed 10 pounds. But I loved to learn, and slowly I put myself through pointers, address memory, OOP, classes, structures, and advanced topics like recursion and data structures. I had some knowledge at this point, but no game. So I started to imagine a world where humanity was hanging on by a thread, having been invaded by aliens that came through a stargate that humans built themselves – the ultimate Trojan horse. You were the supreme human commander, responsible for fighting the aliens (even then, called the Xyl) on Earth and holding them off long enough to accomplish your other objective: to assist the surgical team that went through the stargate using coordinates discovered during recovery of the plans to build the gate, only to discover that they were part of a galactic competition to determine the next master race of the universe for the next 100,000 years. That game design was called Perihelion, and I designed it almost 20 years ago. It seems quaint now, but back then I was roaring with excitement to program it and show it to the world. Only one problem: I had no idea how to start a project of this magnitude! I was 22, and the Build engine was still being used. Programming games was still something of a black box process – there was no Unity, no DarkBASIC, no YouTube tutorials to walk you through creating levels, and certainly no iPads to download manuals and upload code – no, you had paper books and phones to call friends for help. So after a few false starts, I gave up on that for the time being. As you can see, even though it was Visual Basic and the graphics were basically one step above spreadsheets, it was a really fun game. The ships had very intelligent AI – they had numerous tactics that they could use, and their captains had a fear/bravery rating as well as an intelligence rating that would determine which tactics they would use, what range they would fire at, etc. Not bad for a first project, but I wasn’t happy with it, so I stopped working on it, and another few years went by. About 5 years ago, I designed a solo board game called Star Requiem: Humanity’s Last Stand (https://www.boardgamegeek.com/boardgame/122248/star-requiem-humanitys-last-stand) that was based on a continuation of the history that I had started with the Perihelion design. I actually finished that game, and was working on a computer version when I had the idea to design a new game around what happened after humanity fought the Xyl to a standstill. What would their culture look like? How would the remnants of the human race spread? How far would society slide backwards? What would happen to technology? What would losing 70% of your entire species in another war do to a species? That’s what I set out to answer, and I knew from the very beginning that the game would be based on the last emperor – a child, with very little power, destined to bring humanity back from the brink of the final Xyl assault to destroy humans once and for all. And I knew at the core of the game would be the Action Point system: as Emperor, you would only be able to do certain things depending on where you were, and only so many actions per month – you were not omniscient and not a being with unlimited time and energy. I was so excited about the premise that I couldn’t wait to start! I taught myself yet another engine (Windows XNA) and set to work on what was to become Imperia. So about 6 months into that project, I started posting pictures and almost immediately, people were interested in the concept. Very interested. I got offers to help and eventually took one from an artist named Pavlos who helped me refine the ‘hard’ science and the look and feel of the game. We reached a point where I had enough of a game and there was enough interest that there was one question: did I want to create a studio and actually sell this thing? Well, the old self-doubt crept in, and I hemmed and hawed for months, until finally I decided to take the plunge. I made the agonizing decision to basically scrap what was complete with Imperia (basically it was about 60% done) and convert to a totally new engine and language. After some research, I settled on C# and Unity. After learning yet ANOTHER new language and engine, I was ready to work (Note to prospective indie programmers: Pick a popular language and stick with it. I wish I had!). So it’s been a little over a year since that decision was made. I took out a loan, hired another artist (Ogi Schneider), and partnered with an amazingly intelligent and creative man named Oliver Milne who really helped flesh out the backstory and universe of Imperia, eventually to become Alliance of the Sacred Suns. And even working part-time, even having a baby and all that brings, even with challenges from my primary job, we kept chugging along. We were slow to milestones, but we were learning, and understanding what we could do and how much we could do in a given month. Fear that my best wasn’t going to be good enough, that this project was an immense undertaking for one person to program, that the concept of AotSS was so ludicrous because it’s not quite a 4X, not quite a TBS, not quite a political game, but parts of all 3. It’s certainly unique, but would people actually like it? I started to doubt my abilities to finish this game, doubt the premise, doubt the 4+ years I have spent getting to this point, doubt all the time and energy invested in programming, testing, designing, fixing, bug-chasing, and still feeling like there was so far to go. 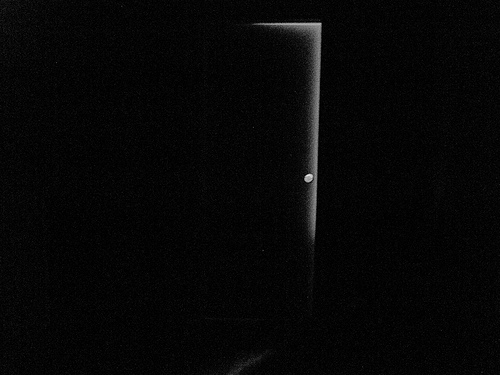 It was like that dream you have where you’re trapped in a room, and the door keeps moving farther and farther away from you, no matter how fast you run towards it. and you can’t go backward. What do you do? I stopped. I was paralyzed, feeling despondent that I couldn’t reach that door, like it was taunting me. It was depressing me, literally. I couldn’t face programming. I’d code for about 20 minutes, then it felt like the screen was laughing at me, daring me to attempt to add a new feature, whispering ‘What’s the point? Nobody’s going to play your stupid game anyway…’ and I would give in to the voices and break off. It felt like an overwhelming task – like eating the elephant, except my elephant regenerated every morning, even bigger than before, but all I had was the same damn spoon to work with. The line in the sand will be drawn here. And now. I’ve decided that I don’t give a damn what the voices say, or what other people think, or how crazy our game design is. I’m very proud of what we’re trying to do, the design we’ve worked on for years, and the story we have written (well, Oliver mainly) for AotSS is amazing, and it deserves to come out. And I can’t let my doubts and fears override that need. It’s hard sometimes, especially when it’s not your main source of income, but I have made a vow to myself and the team that I WILL finish this game. I WILL see it through to the end, and I’ve written this very long post because I need to share this vow with the public and put out there my feelings and emotions to how I got to this point. It’s been hard to type this blog, and it’s pretty personal for a game diary, but that’s the most honest explanation for why there hasn’t been a lot of progress over the last several weeks. I promise there will be a new video up in the next day or two. I keep putting it off because honestly, I never feel like what we have so far is good enough to show – the old self-doubt creeps in and I think ‘just one more feature and I can show it’ or ‘let’s stomp one more bug and then people won’t laugh’. Enough. Enough. It is what it is, a work in progress by a small indie studio, not EA’s latest AAA title. I know I’m not as talented as some other developers, but I was once the 17th best programmer in the United States in high school, and by God I can finish this game. And that’s just what I intend to do. I love all of your support and those who read these blogs and follow along and have done so for the last 3 years. Your patience will pay off. I swear it. Now back to work on 4.7.0a!